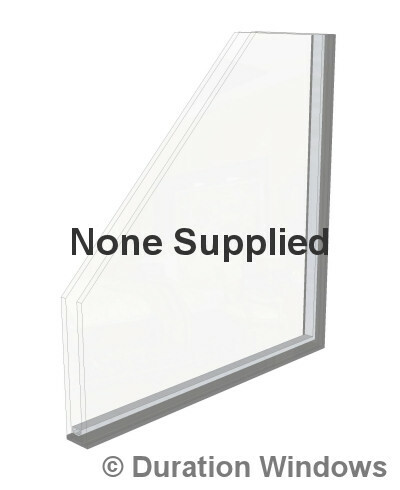 You can choose to have our products supplied without glass. 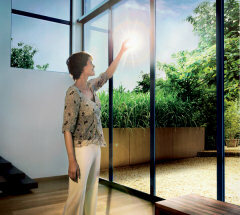 We will supply sizes, minimum specification and you can source your own glass from another supplier. 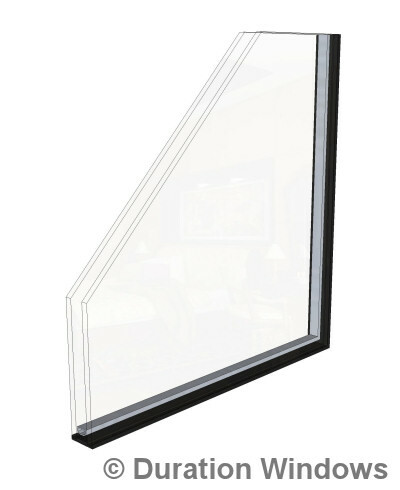 Lead Lites or Lead Lights are traditional decorative windows made of small sections of glass supported in lead cames. The originate from as far back as the 15th century. 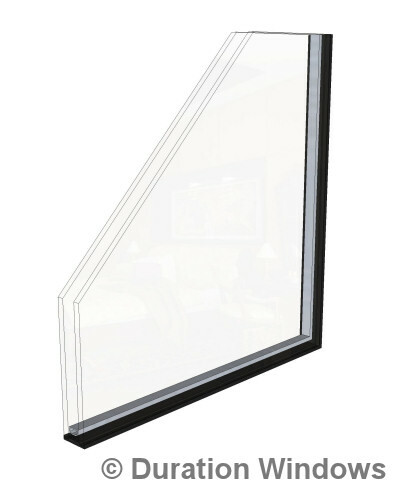 During this period large sheets of glass were unavailable and so domestic windows were generally small Lead Lites. 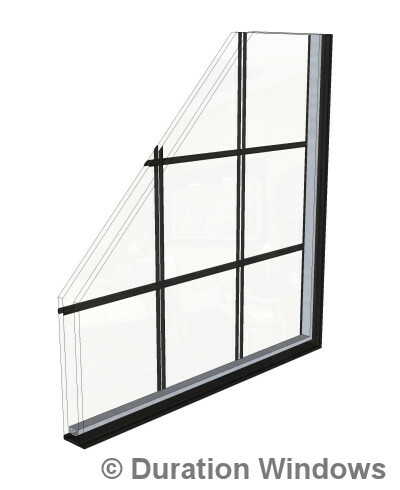 Our Lead Lites use traditional materials and techniques to re-create the leaded windows of the past for modern living. 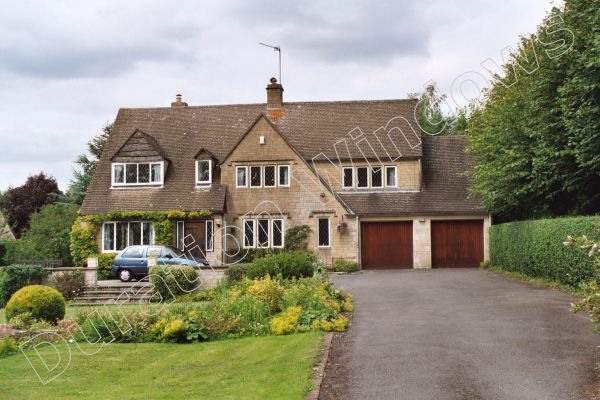 Our diamond leaded windows can even include antique leads and soldered joins. 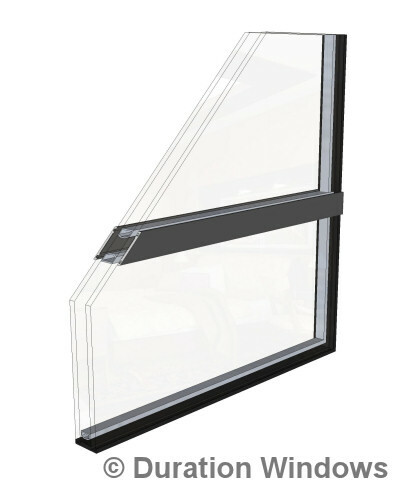 These flat Astragal Bars are designed to replicate the traditional Georgian Bars found on traditional 1930's Art Deco style steel windows. The butted bars lie horizontally across the window crating a grid of window panes. They are colour matched to the same colour as the window frame. 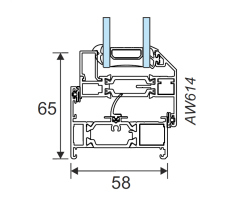 Unlike Goergian grills which are installed within the sealed units, astragal bars are fixed to the outside, inside and have a dummy spacer within the sealed units. 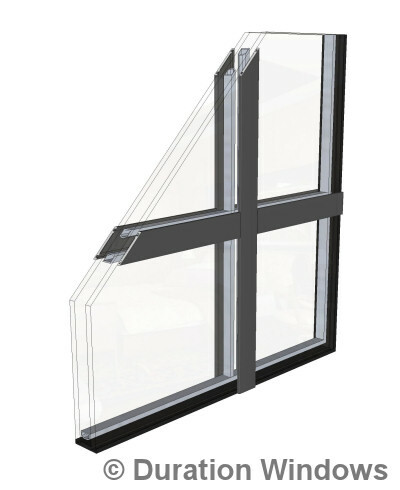 Use of an Astragal Bar system gives you the true effect of a Georgian window. 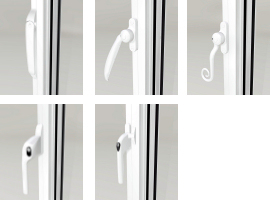 Although the sealed unit remains in one piece the internal spacer and external bars gives the impression of multiple units. 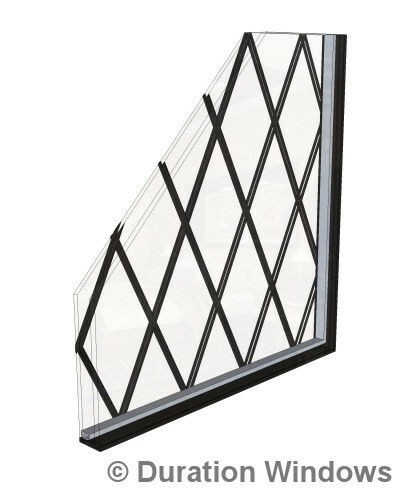 These flat Astragal Bars are designed to replicate the traditional Georgian Bars found on traditional 1930's Art Deco style steel windows. The butted bars lie horizontally and vertically made up into a grid with the bars meeting in a cross. They are colour matched to the same colour as the window frame. 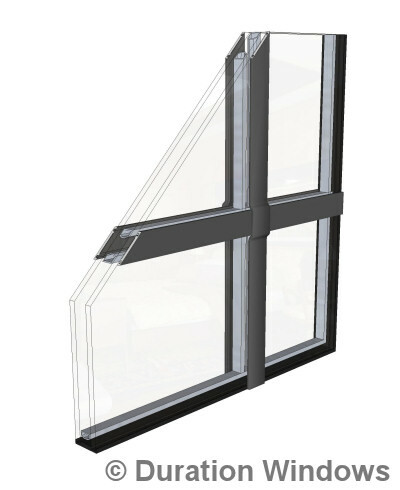 These flat Astragal Bars are designed to replicate the traditional Georgian Bars found on traditional 1930's Art Deco style steel windowss. The Overlayed bars lie horizontally and vertically made up into a grid with the vertical bars overlaying the horizontal bars. 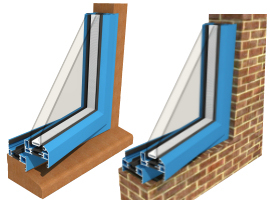 They are colour matched to the same colour as the window frame. 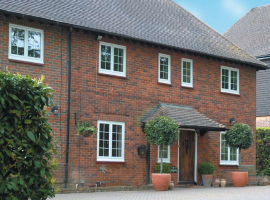 Astragal Bars are designed to replicate the Georgian Bars found on traditional steel windows, and provide a slimmer and cheaper alternative to true transoms and mullions. 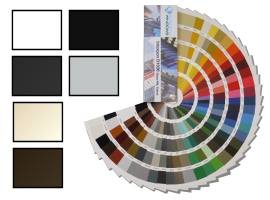 They are colour matched to the window and can be applied to the glass horizontally and / or vertically in any given grid layout. 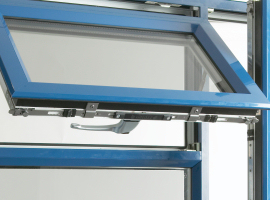 You can have flat bars on the inside and A-shaped bars to the outside. 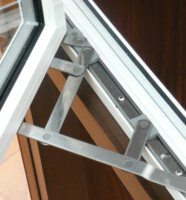 Unlike Georgian grills, which are just plastic strips inside of the sealed units, these aluminium bars are fitted to the outside, inside and have a dummy spacer within the sealed units. 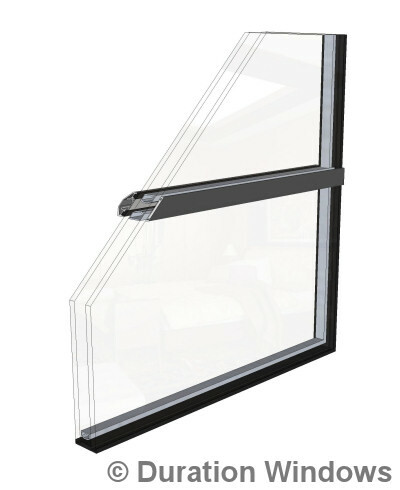 The result, is a truly authentic looking window. 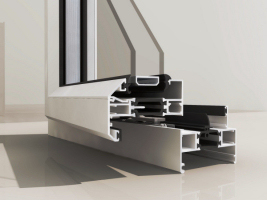 Although there is only one pane of glass the combination of internal spacer and external bars gives the look and feel of individual panes. Please Note: Glass is supplied pre-glazed within the frames, the windows will need to be re-glazed on site, for fixing and toe and healing.